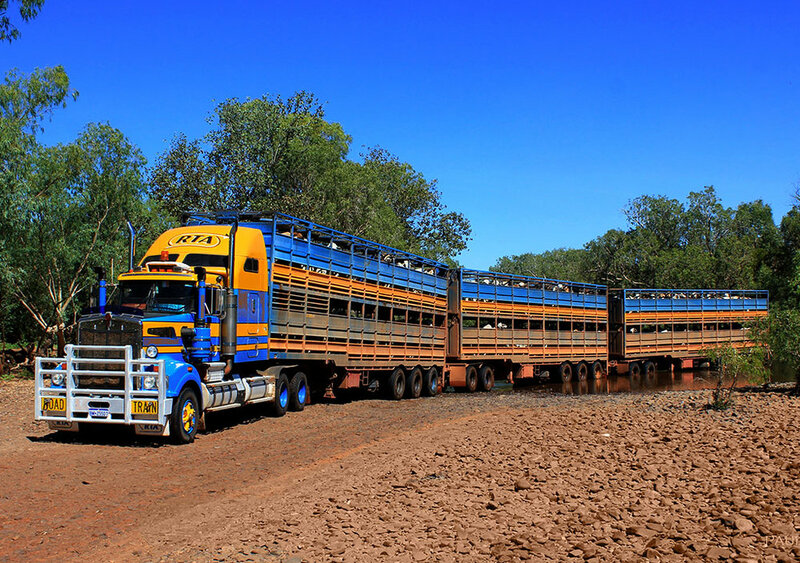 Road Trains of Australia (RTA) has over a decade of experience in safe & dependable transportation of livestock, petroleum and bulk commodities throughout the north of Western Australia, Northern Territory and Queensland. We have been trusted by our clients for over a decade, making us one of the most successful businesses in the transport industry. With our 9 depots around Australia, our operations today cover the entire Northern half of the country. Tired of contacting multiple companies to meet your requirements? We can tailor fit packages to meet all your transportation needs. Our experienced drivers and professional staff continue to work diligently in meeting the diversified needs of our clients. We are nationally accredited in all states and territories that we operate in. We make sure that our accreditations and compliances are maintained. Our team operates through the latest technology. This ensures that all your consignments will travel smoothly and be delivered on time. With over 100 years of combined management knowledge and a modern fleet, you can trust RTA. Road Trains of Australia is a family owned & operated business that has been driving the highways of Australia for more than a decade. We offer our customers outstanding services specialising in livestock, cement, bulk and petroleum products transport. RTA treats animal welfare considerations very seriously & continually trains our drivers in the latest humane animal handling techniques. Whether cross-country or regional, our experienced drivers and professional staff continue to work diligently in meeting the diversified needs of our customers. We are committed to ensuring that your consignments are delivered on time, every time. 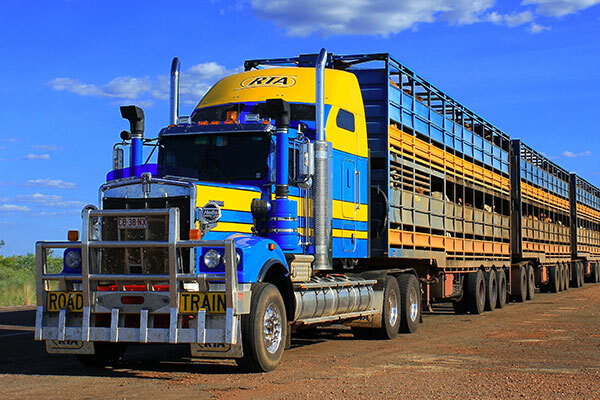 RTA's livestock customers can be confident knowing that our drivers are well trained in animal handling practices and are Transport Quality Assurance Certified. 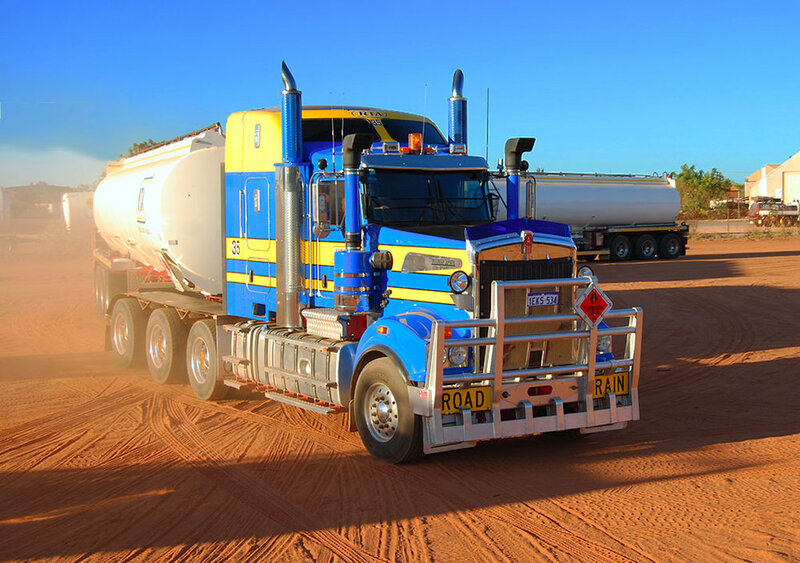 RTA specialises in tanker transport of petroleum products across Western Australia, Northern Territory & Queensland. Whether you require a regular cartage service or a special consignment, our expert team can assist you in making your next project run smoothly.